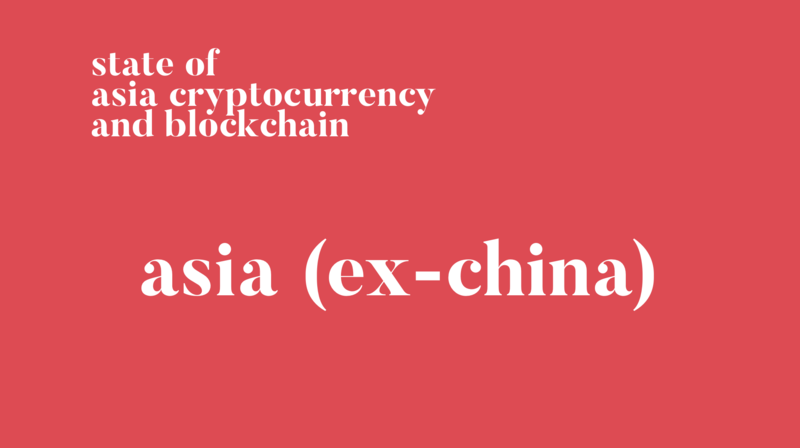 State of Japan, Korea, and Thailand- January Edition – We help you think smartly about the crypto and blockchain landscape in Asia 5-10 years out. Last week, we shared our thoughts on the most recent important happenings in China. This past weekend, we highlighted the most important developments in the rest of the Asian countries, specifically, Japan, Korea and Thailand. Since December, general Crypto market slowdown has affected the primary businesses making up the Korea and Japan crypto ecosystems- the exchanges. Korea seems to have been hit the most, while Japan’s cautious stance towards exchanges in the last year has helped with damage control. Mining businesses have been hit across the board in Asia, and we are seeing a consolidation in the Japanese mining business as they move their operations to China in an attempt to stay afloat.